My friend, Alec, proposed we all go around in a circle and share our responses to this question. As the only girl in a group of four traveling to Paris, Copenhagen, and Amsterdam for nine days, I thought I would be the sentimental one. As it turns out, twenty-year-old boys are not only capable of expressing emotion (who knew! ), but they can even challenge you to doubt the depth of your own emotional intelligence and sense of nostalgia by asking two very seemingly simple questions. So, there I was, surrounded by thousands of shimmering twinkle lights lining every building and walkway in Tivoli Gardens, combatting the October Nordic chill with the heat from a burning fire pit and the warmth of a hot chocolate pressed between my raw and chapped hands, struggling to contribute a response, or rather struggling to contribute just one response, to what should have been an effortless and lighthearted dialogue. As a professional over thinker, of course I wondered whether I should be practical or spiritual in my response. Do I talk about the language barrier? Or maybe I should be more emotional and discuss my journey of self-discovery over these past two months? I was frustrated because I could not just pick one answer, but mainly I was upset with the fact that I had not bothered to ask myself either of these questions before. My lack of self-exploration is probably the reason why I often feel overwhelmed when people ask me about my journey abroad. If I have not even taken the time to process my own experiences, then any response I give to others will be dully superficial and consequently insufficient. Upon further reflection, I concluded that these two questions are not just helpful but essential for anyone studying abroad, and I have since taken the time to organize my own thoughts to hopefully provide some assistance to future study abroad students. My sincere hope is that this “guide” acts as a relatable source for former study abroad students unable to articulate just how and why their semester provoked growth, change, maturity, and often conflicting feelings of both depression and fulfillment. For future students anticipating their departure, my intention is not to force my advice and experience on you, but rather to supply you with the knowledge and confidence to create your own deeply unique, individual, and unforgettable adventure. My cute blue skirt. Only wore it once, but at least I got my picture! I will go ahead and eliminate the words “one thing” from this question. Of course, there is no possible way to only name one singular thing I wish I had known before studying abroad. In fact, I wish I would have known that as soon as you move abroad it will suddenly become absolutely necessary for every person in your life to know your number one favorite thing about anything you do while abroad, whether it be your favorite meal, your favorite city you have visited, or, my personal favorite, your favorite memory so far. Although it may be out of love, your parents, friends, and extended family will constantly expect you to sift through your thousands of new experiences and craft one single perfect little answer that fits neatly in their back pocket. The truth is, their restrictions make them feel comfortable and cause you unnecessary anxiety. Sometimes you will be strolling the streets of Florence and pass by a street performer and experience an emotion that will be impossible to verbalize, and that is OK. My advice would be to take the experience for exactly what it is and to not bother figuring out where that particular encounter fits on your mom-made study abroad totem pole. Part of the fun of studying abroad is adapting to the environment around you and learning as you go, however it is much more fun integrating yourself into your new community when you are properly dressed for it. Everybody knows the challenges of packing, but packing for a semester abroad comes with a whole new set of difficulties. My first piece of advice would be to pack light and pack simple. I also sat at home stressing about the large size of my wardrobe and the small dimensions of my suitcase. I even gave into that temptation to pack the cute blue skirt that would look so good in a picture on a beach in Positano instead of the sensible black sweater whose existence, or lack thereof, would haunt me every time the weather dropped below sixty degrees. You will inevitably get dressed up for a night out and mourn the leather jacket sitting in your closet in California, but you will always be thankful for your basic grey sweatshirt that ties around your waist and matches every outfit. My friends and me enjoying our treats! On any travel blog or website, you can learn the five or ten very basic “need to know” bullet points before visiting Europe. Yes, the rumors are true. You will most likely not have a dryer and must therefore hang dry all your clothes. Also, you’ll buy the four pack of small, generic adapters and they will fit easily into your suitcase and work for almost every appliance until the one day when you are going out for a nice dinner with your roommate’s parents and suddenly your curling iron won’t turn on because your adapter decides it doesn’t want to support the voltage of your iron. You can find these little pieces of information anywhere, and though they are still important I would rather focus on the advice that only I can provide. One thing you may not discover on a “must know” list is just how difficult it is to travel with an allergy. Personally, I am allergic to hazelnuts which, unfortunately for me, exist in almost every European dessert. I won’t lie, I absolutely despise my nightly routine of explaining to the woman at the gelateria that, “yes, I know technically you have to warn me about cross contamination, but as long as the gelato doesn’t actually contain hazelnuts then I won’t have a reaction. No, my allergy is not very severe, so I can eat the vanilla gelato, I just can’t eat that specific scoop of vanilla gelato because it is right next to the Nutella flavor and as you went to scoop the vanilla I saw a little bit of Nutella get mixed in with the vanilla and though I realize you don’t understand exactly what I am saying I would really appreciate… actually, never mind its fine I will just have the panna cotta.” If that was painful to read, then imagine my anguish every time I have to say it. The point of this anecdote is to remind you that you can never over prepare when it comes to your own health and safety. If you need to spend a few hours researching how to say the name of your allergy in twelve different languages and then print it onto ten travel-sized laminated cards, I promise it will be worth it the next time you are in Germany spending your time figuring out how “haselnuss” is supposed to be pronounced. Obviously, everything I wish I knew before studying abroad became painfully clear after just a short time of being there, but for this section I would rather choose to focus on the things I have learned about myself, specifically the way I choose to define myself. I did not know a single person coming into my study abroad experience, and although I was terrified I felt I was ready for the challenge. I romanticized the idea of traveling to a foreign country alone, meeting new people, and creating unforgettable memories. It is not until you move away from everything familiar that you realize how little you know yourself. You will never be able to fully prepare for everything you learn while abroad, but I truly believe that before you completely abandon your old, familiar way of life you should first sincerely consider the possibility that familiarity is blinding. 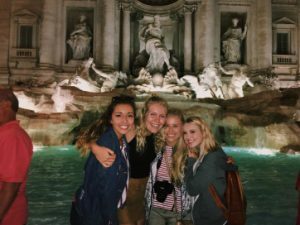 Before this study abroad experience, I largely defined myself based on the opinions and views of other people. I relied on my reputation for reassurance that I knew myself, for why would I spend time figuring out who I was when I could rely on years of other people’s opinions to figure it out for me? You begin to think of yourself as the sum of other people’s beliefs, until you move to a city where nobody has known you long enough to even form an opinion. Or, perhaps even more terrifying, they have only known you for one week and have already formed an opinion, one unsupported by your past. In some cases, this may feel like a good thing and it may even be refreshing to know you can completely start over. For me, this caused me to question everything about my identity. When you become removed from your friends and family and thus can no longer rely on them to remind you of who you are, your day to day actions and decisions suddenly require a much stronger sense of self identity. This is very difficult to grapple with while abroad, but this is also the reason why so many consider it a life-changing experience. My advice would be to continue to remove yourself from environments that provide familiarity, for you may be using them as a way of avoiding the real change and growth that can only come with emotional uncomfortableness. Studying abroad continues to teach me a harsh lesson in going with the flow. This may seem obvious, but believe me when I say that nothing will go exactly as you planned it. I often have a very hard time letting go, but since I have been abroad I have made a conscious effort to open my mind and enjoy myself, no matter what crazy adventures life throws at me. People do not owe you anything, and neither do experiences. You are not entitled to feel a certain way when you see the Eiffel Tower for the first time, and whatever way you thought you would feel you probably won’t. I am slowly learning that there is absolutely nothing wrong with disliking an experience, in fact it will probably be your favorite story to tell later on! Whatever the situation may be, I guarantee you would rather have absolutely nothing go as planned, but enjoy the unexpected journey, than constantly stress about seeing every city, landmark, and monument you had your heart set on. You may think fulfillment comes from living out your dreams, but the feeling of true satisfaction is never anticipated and usually experienced at the most unforeseen times and occasions. Finally, and maybe most importantly, studying abroad is not an effective method of escaping all your troubles. Whatever was burdening you while you were in the states will follow you overseas, and there is simply no other way to deal with your problems besides confronting them. It is very easy to become depressed while experiencing so much in such a small amount of time. Something that can contribute to these feelings of depression is travelling six thousand miles away only to discover that you are still the same person with the same fears and insecurities. Do not use you study abroad experience as a way of suppressing your anxieties, but rather as a tool to help you move past them. This was the hardest lesson for me to learn while abroad, and I am still struggling to accept the fact that nothing will change for me on its own. Although experiences contribute to personal growth and self-acceptance, you must first be your own catalyst. Studying abroad is like getting a haircut, but on a much larger scale. You cut your hair after an emotionally trying event because you crave change and are convinced that a new outward appearance will trick your brain into thinking the inside is also reborn. You walk out of the salon feeling ten feet tall, until you wake up the next morning to find any remains of your blowout destroyed by the relationship between gravity and your pillow. Even if your new hair is intact, your old emotions will inevitably begin to creep back into your brain and this time you won’t be able to blame it on anything other than the reality of your situation. Imagine this, but instead of a haircut you move to a different continent. Be ready for your old life to catch up with your new one, and prepare for their introduction to each other. They can be great friends, but only if you accept the fact that they both exist. 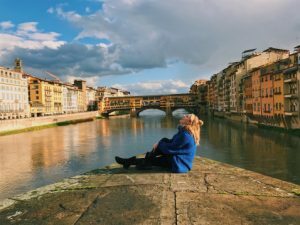 I know this is not your ordinary list of travel tips, but always remember that your mental health is just as important as your physical health. 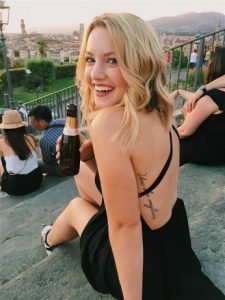 In my experience, there will always be a million things you wish you had known before studying abroad, but there will also be a million things you will be glad you didn’t. Learning and adventuring is the best way to ensure a life-changing semester, but it is always wise to prepare your body and soul for a journey that is guaranteed to challenge you and even make you entirely question your identity. Do not fear asking yourself questions, even if you know you will not get the answer you want. There is no better time and place to come to terms with yourself and all your glorious flaws and imperfections than while studying abroad. There are certain topics, like allergies or packing, that require a healthy dose of research before your departure date, but other things are often better when they come as a surprise. My best advice to you is to be intelligently vulnerable, or rather, provide yourself with all the necessary resources to safely and sanely allow yourself to be open to every possibility.